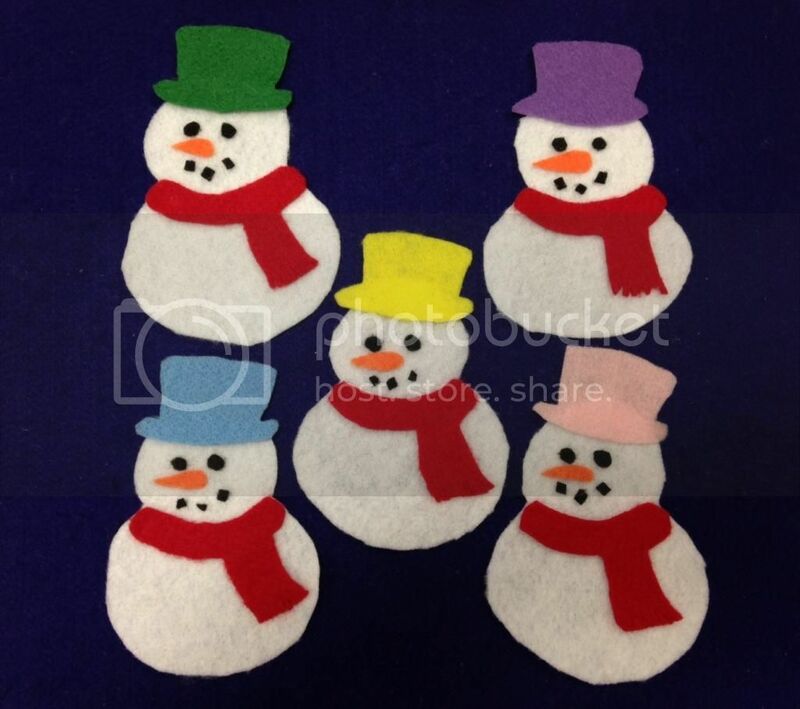 Here's a set of felt snowmen I put together. Easy and fun! I had a great time with these in storytime - this was before our "big snowstorm" this week. Most of the kids had not seen snow before, and had never made a snowman before. We talked about all the different colored hats. I really have the best job ever. End with: NO MORE snowmen RIDING on a SLED!